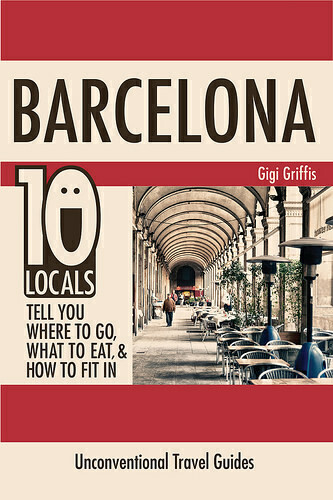 Last summer I was asked to contribute to a guide called ‘Barcelona – 10 Locals Tell You Where to Go, What to Eat, and How to Fit In’. Well I did. And Gigi Griffis who produced the guide sent me a copy, and then I promptly forgot about it. I came across it on my iPad recently. So I read it. And it’s actually very good. Gigi interviewed 10 people who live in Barcelona and asked them where their favourite places are in Barcelona, their hidden gems, and any tips they might have for visitors to the city. And tips for how to make friends, avoid rip-offs and pick-pockets, and fit in with the local culture. The guide has had some great reviews! “Any seasoned traveler will tell you that the real soul of a city is revealed only after befriending a local. This book takes you beyond the tourist traps on the Ramblas and opens up a whole new side of Barcelona…and also shows you the best places to make local friends of your own. Vamos!” – Jason B. Buy Now!To find out more or purchase the Barcelona Guide visit the website where you can also find guides for Italy, Switzerland, Paris and Prague. They all follow the same format of getting locals to talk about where they like to go and what they like to do. Kind of like my perfect day series! You can get the guides in PDF, Kindle or Paperback versions. Give them a go! They’re only 10 bucks and you’re bound to find something that interests you. 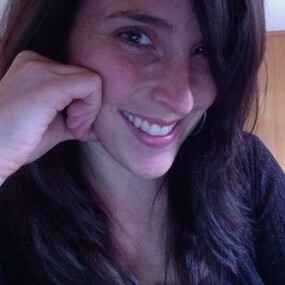 And if you’d like to you can keep up with Gigi’s travel adventures and any new guides she produces via her website or on Twitter.